If you are paying any attention at all to the real estate market these days, you keep hearing about “short sales”. Media types speak about short sales (as they often do about other complicated subjects) as if everybody understands the term; but most people don’t, and if they don’t, it is very hard to understand why they are such a huge problem. Read on. When an owner goes to sell a property that has a mortgage, that mortgage has to be paid off when the closing takes place. The problem is, many people do not receive enough from the sale of the property to pay off the mortgage. For example, if Jack and Jill bought a home in 2006 and paid $200,000 for it by borrowing $180,000 from YeeHaw Junction Federal, and then sold it in 2010, they are at great risk of having to sell short. I use descriptive names to describe the two flavors of short sales. One is the “Unfortunate” short sale. This is where the sale price is “short” of the amount needed to pay all the closing costs and the mortgage balance, BUT the seller has sufficient personal funds to pay the difference out of pocket. This is referred to as “bringing money to the table”. If you can be sure that the short sale is of the “Unfortunate” variety, you have nothing to fear, it will operate just like a normal, non-short, sale. You should be able to close within 60 days of agreeing on a contract. The other flavor is the “Distress” short sale. In this case, the seller has no possible way of making up the difference out of personal funds, so the mortgage holder has to agree to settle the mortgage for less than the amount that was actually owed. The example we used for Jack and Jill would most probably be a “Distress” short sale. In Pinellas County, Florida, homes purchased for $200,000 in 2006 are going for around half that amount today, give or take, so the $100,000 paid by the buyer won’t come close to paying off the remainder of a $180,000 mortgage. Now if you are out looking for a house to buy, you have to know whether the properties you are looking for are “Distress” short sales or not. This type of short sale, to be successful, requires that the Realtor® for the seller is either very skilled at this type of sale, or that the seller has engaged a third-party company that specializes in handling short sales. (Be very careful that the seller doesn’t hook you into paying the fees that can be charged by the third-party processor.) Even following both these precautions, a short sale of the “Distress” type can take anywhere from 3 to 12 months to close with most of them coming in at 3 to 6 months. As far as a seller’s lender is concerned, if a buyer gives up midway through the process, the seller has to find a new buyer and start the process all over again. We have seen cases where it took over 24 months to close a short sale because several buyers got bored with waiting and the process was restarted multiple times with multiple new buyers! Why does it take so long? The sheer number of short sales has bogged down the financial institutions; the investigation as to whether the seller is really in a distress situation takes some time; the negotiation as to the final terms of the sale can hit a few snags; and whether or not there is a second mortgage on top of the first really complicates the whole process. Each of these elements requires time and a huge amount of personal investment on the part of the seller’s Realtor®, even if they are using a third-party company. Sometimes stuff just gets lost and has to be sent multiple times, contacts at the lender get sick or quit, or the management of the case by the lender requires multiple levels of supervisory involvement, each level of which can take weeks. 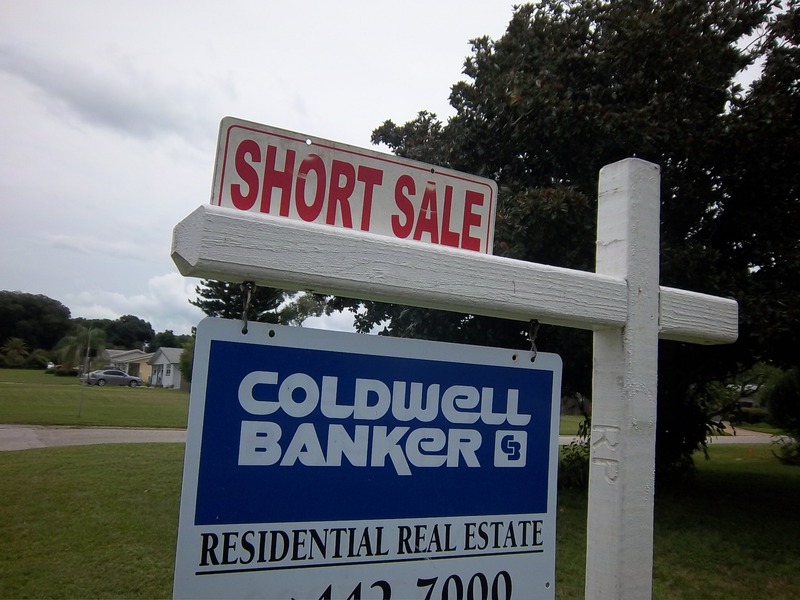 If you want to buy a “Distress” short sale, you cannot be in a hurry to get into the property! But if you can afford the time, a short sale can be a very good deal. Previous Post3 “Do Not Break” rules for decorating or landscapingNext PostWhat’s Trending in Homeownership.